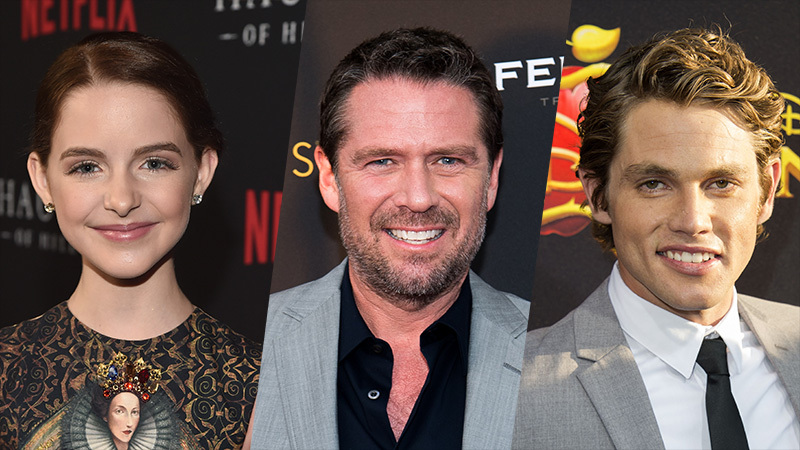 Netflix’s Chilling Adventures of Sabrina has added guest star McKenna Grace (The Haunting of Hill House, Captain Marvel) in the upcoming holiday episode “A Midwinter’s Tale.” Alexis Denisof (Angel, Much Ado About Nothing) and Jedidiah Goodacre (The Originals, The Order) have also joined Season 2 of the series in recurring roles, Deadline has confirmed. Grace will guest star as Li’l Sabrina in the holiday special that will debut on December 14 on Netflix. Viewers will get to see what Sabrina was like as a precocious pre-teen witch. While the Church of Night celebrates the Winter Solstice, Li’l Sabrina goes out of her way to ask Santa for something special. Denisof will play Adam Masters, the boyfriend of Mary Wardwell (Michelle Gomez). Handsome and charming, Adam returns to Greendale after a stint overseas working with Physicians Without Frontiers, unaware that his fiancé has been taken over by the demoness Madam Satan. Goodacre will play warlock Dorian Gray, the owner of Dorian’s Gray Room, an exclusive nightclub. He is an enigmatic gentleman of an indeterminate age and is very good at keeping secrets, especially his own — a cursed portrait he hides from prying eyes. Roberto Aguirre-Sacasa (Riverdale) wrote the adaptation (the comic book basis for which he also wrote) and also executive produces. Lee Toland Krieger directs and executive produces with Aguirre-Sacasa, Greg Berlanti, Sarah Schechter, and Jon Goldwater. The drama hails from the Warner Bros. Television-based Berlanti Productions.